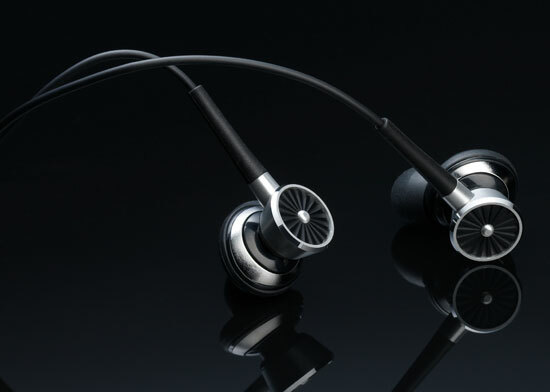 The PS210 are a uniquely comfortable and capable set of in-ear headphones. Both casual and serious listeners will appreciate what they have to offer. We’ve enjoyed reviewing Phiaton’s personal audio products in the past. They have a dedication to style and comfort that we think most headphone wearers really appreciate. So when the PS210 in-ear headphones came across our desk, we looked forward to the opportunity to give them a good test drive. At $79.00, the Phiaton PS210 “half in-ear” headphones enter an arena thick with competitors promising to offer great in-ear sound for less than $100.00. In our review, we thoroughly test the PS210 to see how they stack up. The PS 210 are very simply packaged in a small, plastic box. Inside you’ll find a pair of the PS210 and a cylindrical leather carrying pouch and 4 different sizes of soft rubber ear-tips. The PS210 design is strikingly unique; in fact, their new approach to head gear won the Red Dot design award for 2010. Unlike traditional in-ear headphones that direct sound at your ear canal, the PS210 provide an oval piece that occupies the large opening of the ear, with an additional piece that extends down the ear canal. The large oval section has mesh grills that allow bass from Phiaton’s special driver technology to reach the listener from one section, while the in-ear portion delivers higher frequencies. 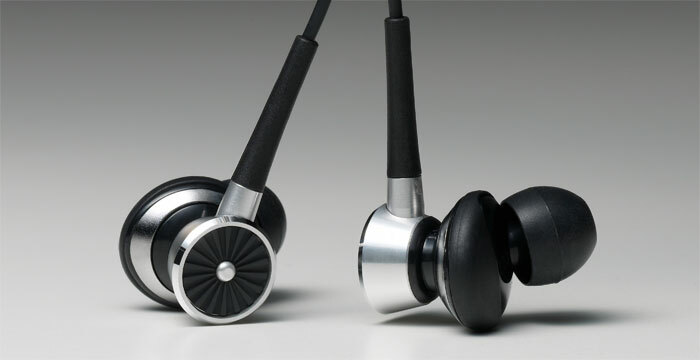 The earpieces are made of light-weight aluminum in combination with soft rubber. The cord is solid enough with more than sufficient strain relief to prevent accidental breakage. We found the PS210 to be extremely comfortable. The in-ear portion of the headphone doesn’t reach so deep down the ear as to become uncomfortable. The larger round portion sat nicely in our ear and seemed to provide a good seal, though we found that the PS210 didn’t do much to stop noise from the outside world from bleeding through. This isn’t necessarily a bad thing. Though not effective at noise isolation, the breathable seal seemed to keep bass from bloating and was much more comfortable than some of the super-seal in-ears we’ve tried in the past. 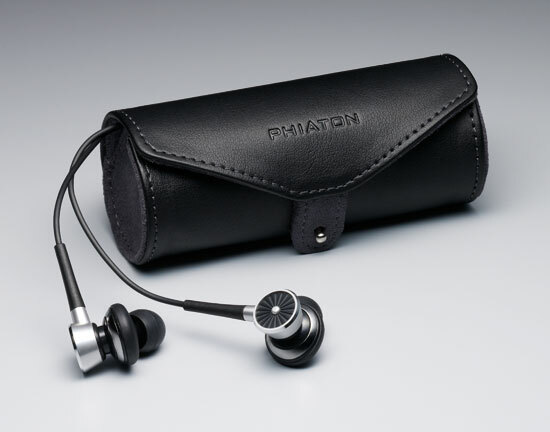 Phiaton’s design goal was to provide the superior bass of an open-backed earphone with the smooth highs of a traditional in-ear. We feel that their unique approach definitely did good things for their bass response. When we listened to Tower of Power’s “What is Hip” from their Soul Vaccination- Live SACD, we felt bass was tight, melodic and un-bloated. The bass guitar came across with clear tonality and the kick drum had an authoritative punch that we don’t often hear in an ear-bud. It is certainly not “club-style” bass, but we think that those who prefer a more accurate rendering of their music will really appreciate the musicality of the PS210’s bass response. Midrange reproduction was lively and balanced. Vocals came across naturally, with an open feel that was never stuffy or gritty. On Jujuba’s Go Slow from their self-titled album, the closely mic’d Djembe drum had a large, round tone that that decayed naturally, as if we were hearing it on studio monitors. High frequencies, as promised, were clear and clean. We listened to Marc Broussard’s Let me Leave from the Carencro album and enjoyed the weight that the pizzicato strings carried, even from the back of the mix. Later, as the strings bow long, legato passages, the PS210 show their capacity for yielding texture and tone in a very pleasant way. As we tested the PS210, we used a variety of sources including an iPhone 3Gs, a laptop computer’s headphone jack, an Onkyo A/V receiver and HeadRoom’s MicroDAC and MicroAmp connected via USB to the same laptop computer. When connected directly to our iPod, some of the extreme high frequencies came across as a bit thin and harsh. This was a periodic issue and usually associated with a high crash cymbal or extremely sybillant vocals. As the source improved, so did the performance of the headphones. With our laptop’s headphone connection, we were painfully aware of the sound card noise but it was otherwise very good. Our Onkyo AV receiver provided notably more detailed sound but we were most pleased with the HeadRoom DAC and amp combo. The high frequencies were more accurate and bass was punchier. The sound had a pleasant smoothness to it that made it easy to forget we were listening to digital files. When connected to premium gear, the PS210 deliver the premium experience. The PS210 are a uniquely comfortable and capable set of in-ear headphones. Their fresh design approach really delivers on their promise for better bass and cleaner highs without wearing on your ears. Both casual and serious listeners will appreciate what they have to offer. At less than $100.00, the PS210 are a great value and worth a spot on your short-list.